Dr. Hardiman and her team of researchers at Johns Hopkins university spent several years conducting and reviewing neuroscience research on how children’s brains function in the learning environment. Earlier this year, US Lacrosse was invited to participate in a roundtable discussion at The Center for Transformative Teaching and Learning. Our Education and Training staff was so intrigued by Dr. Hardiman’s model, that we immediately recognized its’ potential impact on the lacrosse community and were compelled to dissect it and rebuild it into a model for lacrosse coaches everywhere. We call it Brain Targeted Teaching for Coaches®. Think of a time when you were publicly embarrassed by an insensitive remark from a coach or a teammate. How did that make you feel? Were you able to focus on learning for the remainder of that practice? Did it affect your performance in the game? I'm willing to bet that you played tentatively, made more mistakes and even forgot what your coach wanted you to do. His or her remark created a negative emotional climate, and as a result you were either knowingly or unknowingly experiencing a lot of emotional stress. This reaction doesn’t mean you’re weak. It is actually a physical response generated in the brain that you can’t necessarily control, especially as an adolescent. When we are placed in a situation like this one, most of us get caught up in negative or stressful feelings, and our attention shifts away from the higher cognitive processes required for learning. Think of this reaction as the "Fight or Flight" mechanism. Our brain tells us to react immediately to protect ourselves, and learning is not a priority. We either get away from the Saber Tooth Tiger or we are eaten by it, and we don’t learn anything about Saber Tooth Tigers along the way. We may even be so frightened that the mere thought of a Saber Tooth Tiger reverts our mind back to this negative state, and we will never learn anything about them. What happens when a coach creates a positive emotional climate? It has been found that a positive, “stress-free” environment opens the athletes mind to learning. It makes sense! If your athletes feel good about the situation they’re in, of course they’ll want to know more about it and will try their best to succeed. When praising your athletes, be specific to the behavior. Instead of just saying “Good job!” really let the athlete know what it is you liked. “You’re doing a great job of getting low when scooping.” When giving commands, be conscious of the “veiled command.” That is the type of instruction where you think the athlete knows what you mean, but there is some ambiguity to it such as “Is that where your mouth guard belongs?” Instead, removing any ambiguity and say, “Your mouth guard belongs in your mouth.” This gives the athlete a clear expectation of what you want him or her to do. Routines and rituals relieve anxiety, allowing athletes to know what to expect each day. They also set the standard for your team’s culture or “the way we do things here.” When these are in place, young athletes are more ready to learn the skills you want them to. Celebrations build team cohesiveness and demonstrate that everyone on the team has value. When an individual feels that they belong to a group, they are more apt to open up to learning. Find something to celebrate for each athlete on your team. Think beyond the typical “MVP” awards and try out “Unsung Hero,” “Lunchpail Award” (for the athlete that comes ready to work hard every day), and so on. These aren't token awards for the sake of just giving everyone recognition, but rather a celebration of the player for something they genuinely did well that day, week or game. At some point in the season, almost every player on your team is going to come to the field with emotional “baggage.” Many coaches have a philosophy of “leave it in the locker room” when it comes to this baggage. By asking the player to ignore their emotions, their readiness to learn decreases because they have not had time to process it. Conversely, if the coach acknowledges the athlete's emotion and then redirects them into the task at hand, the athletes will feel validated and become more receptive to learning instead of stewing over their emotion. We must also test the emotional temperature of our athletes. We need to know how they are feeling before we try to teach them today's skill. So, how do we test the emotional climate to make sure they're ready to learn? One of the easiest ways is to do a simple exercise during stretching. Ask the athletes how they’re feeling today. They can then respond silently with either a “thumbs up” if they are feeling good, a “sideways thumb” if they’re just OK, or a “thumbs down” if something is troubling them. Making a quick mental note of this will let you know how each kid is feeling and help you to determine who may need some extra attention to help discard their baggage and make decisions on how you will coach that particular athlete or even the entire team on that day. Athletes want to feel connected to their coaches. For some, it may be the only positive interaction they have with an adult during their day. You’d be surprised at what makes kids feel connected. It can be simple things like involving all athletes in drills and team responsibilities, such as setting up cones or getting the water jugs. When a kid is singled out to perform even the most mundane of these types of tasks, they feel recognized by an adult. By celebrating their contribution, they players valued by you and their teammates. Taking it a step further, you can create individual goals for your athletes. A brief discussion with the player about what they want to accomplish and how you will help them reach that goal goes a long way in building a connection with them. It’s imperative that you follow through on this plan by regularly checking in on their progress and providing feedback. Finally, coaches should strive to be a model of warmth and kindness, communicate in a positive manner with the athlete and their parent(s), and be fair and consistent in discipline. All of these actions on the part of the coach will show the players that you care about them and the team. The reality is that today’s athletes are given much more freedom of choice in many facets of their lives, and effective teaching involves giving some of your power over to them. This is not a case of “letting the inmates run the asylum,” but rather a guided shifting of power. 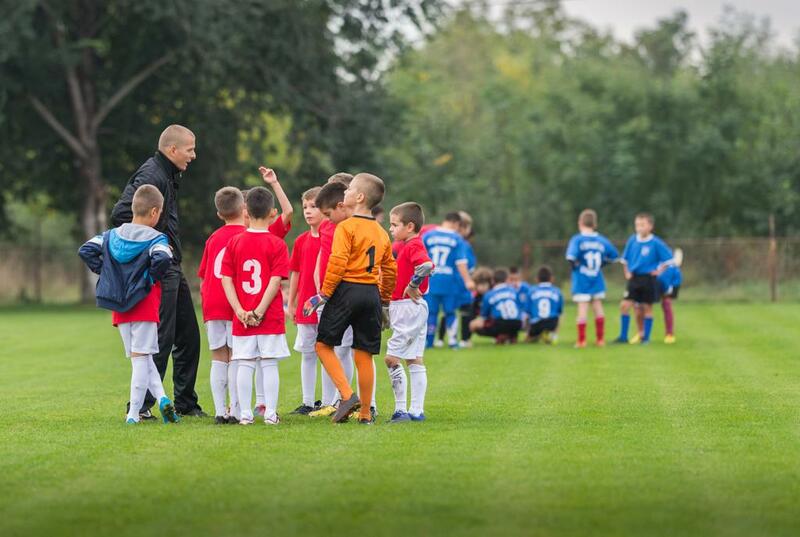 For example, after a game, ask the kids questions like “What did we do well, what could we do better and how can we work on being better at __________?” Take their suggestions and implement them. This will demonstrate that you respect their opinions and motivate them to work on learning to be better at whatever it is they identified. You can also give them power to control their learning by setting aside time each day for a “player’s choice” drill. For 10 minutes or so at each practice, allow one or a small group of players to determine which drill they want to do. Remember this is their choice, so no matter how you feel you must let them pick. After all, 10 minutes of your practice devoted to doing something that motivates your players intrinsically will more than likely yield better results than 30 minutes of something they don’t have an interest in. For deep learning and maximum retention of information to be reached, athletes need time to reflect on their positive experiences. We call this mindfulness training. Setting aside some time each day to guide the athlete through breathing exercises, recalling positive experiences and other good thoughts has been proven to improve memory and emotional regulation (e.g., they can control their emotions better during the learning activity, allowing them to focus better on the task at hand). Humor also plays an important role in effective coaching. Not to be confused with sarcasm, which can be a detriment to an athlete, humor creates a more positive environment. Laughter changes brain chemistry and makes young athletes happy. It goes without saying that when athletes are happy, they are more receptive to learning and retaining information. Research has also shown that engagement in the arts has a positive effect by reducing stress hormones in the blood, thus making learning easier. Consider playing music at various times during your practice when direct instruction isn't needed (warm-ups, stretching, breaks, etc.). The athletes will become more relaxed and their performance may improve.